Facebook’s announcement last Friday that 50 million of its user accounts were compromised by hackers only emphasizes how vulnerable our data is and how little control we have over who gets to see it. This is not what Tim Berners-Lee envisioned when he created the world wide web back in the 1980s. However, the esteemed engineer’s new project will reportedly take the power away from large internet providers and give it back to ordinary users. 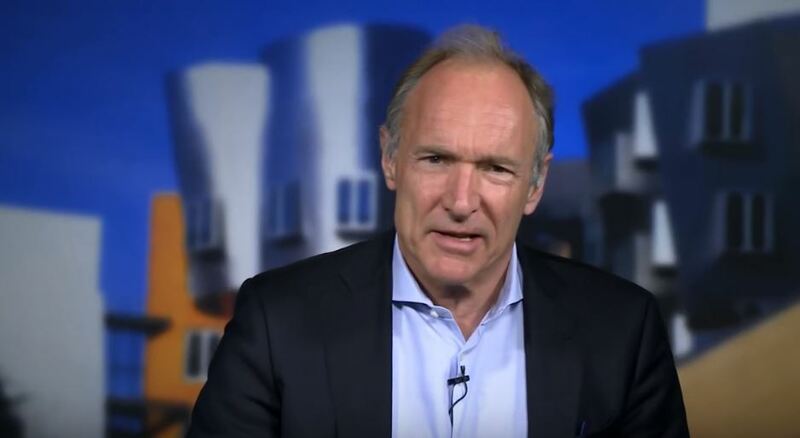 Berners-Lee and his partner John Bruce have just unveiled their new startup, Inrupt. Supported by Glasswing Ventures, the company aims to change the internet and fulfill Berners-Lee’s vision of a free web where people have control of their data. Berners-Lee and his MIT team have spent the past few years developing Solid (Social Linkedsolid Data) and Inrupt is the first company to be built off it. Solid is said to give web users total control of their data through a POD, or Personal Online Data storage system. This is a file that holds all the user’s data, everything from addresses, friend lists, videos, images, and documents. The Solid team has designed the software so that it can create and manage a POD on either a hosted server or on a personal one. Companies can also use the system to design apps using the Solid platform. Development for the Solid POD will reportedly wrap up soon. Interested parties can actually start making their own PODs right now on the Inrupt website. However, the interface admittedly leaves a lot to be desired but you can use this time to familiarize yourself with the platform. Users will have the option to enroll their PODs in a storage service or store them on a standalone device. Meanwhile, apps and websites that want to access a user’s information will have to request the specific POD for it. But whether the device will share the information or not depends on the user’s preference. More importantly, apps or social media platforms won’t have control of the information. The data will be automatically removed from their system once access to the POD has been disabled. Can We Take Back the Internet? There’s no denying the merit behind Berners-Lee’s Inrupt and that it has the potential to turn the internet on its head. But the question on everyone’s minds is iwhether it will have the chance to do so. First, Inrupt and Solid still have a lot of questions to clarify. For instance, there’s the scope of the data that can be stored in PODs and how it will be maintained. Since a lot of people are already using the cloud for safekeeping data, would they have to migrate everything to a POD? Then there’s the fact that generating revenue through ads is still a crucial element and Solid might hinder that. For example, a music streaming service, providers will be hard-pressed to develop user profiles and recommend songs to clients if they can’t store customer data on their servers. Established platforms, like YouTube, would also be wary about suddenly switching to PODs. Even if they’re inclined to, their shareholders might not be too happy about it. Not only is Inrupt untested, but a lot of companies would also find that continuing with the business model they have now is simpler.